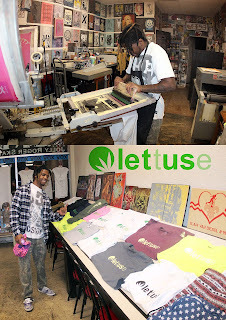 Josh "Swisha" Smith stopped in to take our Intro to Screen-Printing Class yesterday and he killed it! He printed his first run of tees, sweatpants and hoodies and he did an awesome job. It's pretty rewarding to watch determined people producing their own apparel. *If you are interested in taking a screen-printing class at Jolly Roger Skateboards hit us up at (618) 277-7113 for more info.